Up, Beyond Media, LLC is a full-fledged digital media agency. We are a team of creatives professionals that specialize in creating visual experiences and brand development. Providing services in content strategy, social media strategy, SEO and SEM, email marketing, we cover it all. Want to create a new brand or perhaps you're looking to refresh an entire line of products, whatever the case, we're ready to take your products or services up, beyond. 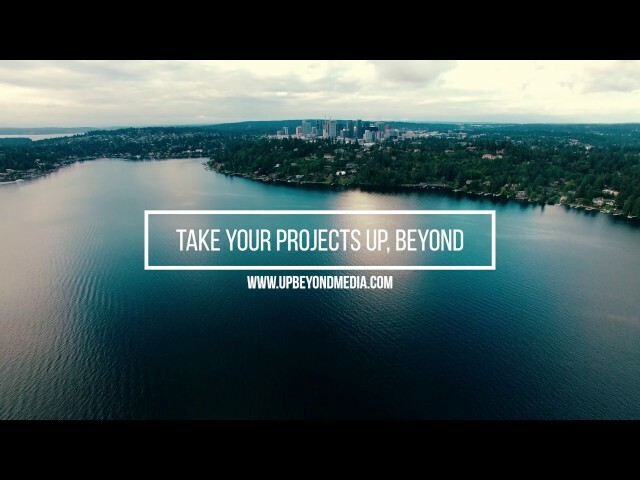 Up, Beyond Media is an FAA exempt aerial video and photography media company, capable of capturing 4K video and high dynamic range photography from up to 400' in the sky. We offer event videos, real estate, inspections, agriculture, and other aerial services. Contact us to discuss your needs. Our team is equipped to capture the perfect image for all your needs. Whether we take to the air or strap a camera on a zip-line, we'll get just the perfect shots to tell your story. If you've been to a grocery store or participated in obstacle racing, you've probably seen our work. We've designed packaging that has been in production for nearly a decade, and sub brands of the largest obstacle course race in the world. READY TO TAKE YOUR NEXT PROJECT UP, BEYOND? Tony took our gender reveal picture for my daughter’s birth announcement. For a moment that was so simple for me he was able to take some amazing shots and turn it into my favorite memory lasting photo shoot I’ve ever had. Would definitely recommend him for any moments you would love to have captured, if not for his skill and ability then definitely for his professionalism, compassion and knowing what to look for to make the moment. Tony is such a pleasure to work with and his photos are always VERY well done! Having been a model for 4 years, its not easy to find photographers who are not only knowledgable, but are also creative and FUN to work with! Tony is all those things and more. He is also very good at getting pictures back to you in a timely manner, so no nagging the photographer for your finished photos. 😛 That being said, I would highly recommend Tony’s work to anyone! To have Tony photograph you, or a moment in time for you, is to experience the world in a unique and incredible way. During obstacle course races, he captures not only the moments but the intensity and emotions being experienced by the racers. His landscape/ scenery photos of nature are breathtaking. Used Tony for obstacle racing and sponsorship photos. Outstanding work, accomplished on time and consistent product. Extremely versatile and easy to work with. Definitely recommend using him for any media needs. Every time I’ve had the chance to work with U&BM I’ve been thrilled – Tony is awesome! Complete professional. Beautiful coverage of my outdoor 60 hour event in Vermont. Was able to capture beneath the tree lines even. Exceptional work with memories for a lifetime! I could not thank Tony enough for his outstanding work. He went way above and beyond for us providing multiple options and a clear ability to understand our needs while translating that into actual work. I was the Project Manager on an event hosting 20,000 people, including media and tv crews. Tony helped me to assess our current parking situation. We were able to use the drone to assess the parking lots, their capacity and determine a plan to move forward with parking. He also explained the drone to me, how it worked, very nice guy & very talented! I received digital copies of everything and it was just fantastic. I would certainly hire him in the future should the need arise. © 2019 Up, Beyond Media All Rights Reserved.